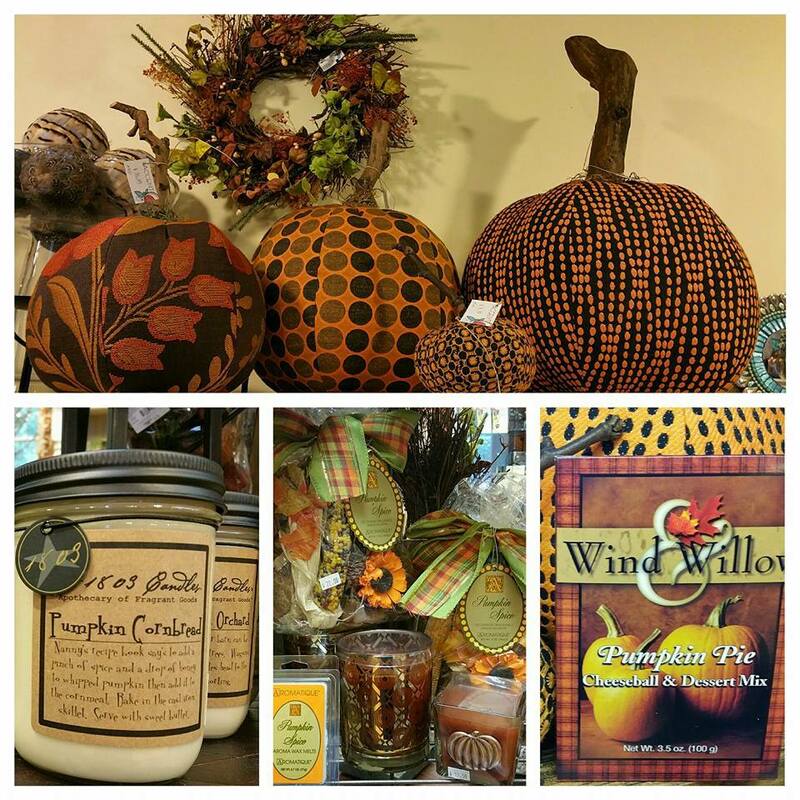 Montgomery County dresses up this weekend in a coat of orange and black that seems to stretch from the county seat in Norristown to the rural vistas of Green Lane. There is so much going on for autumn, the best way to participate in everything is by way of flying broomstick. 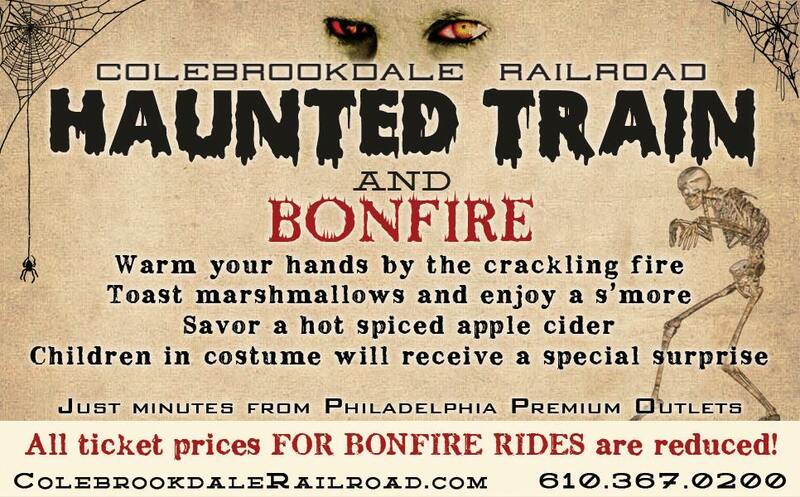 October 9-10 brings on another Halloween-themed running of the Colebrookdale Railroad. A cheery bonfire and kids&apos; costume contest will save your tots from any trepidation. The weekend Boo at the Zoo parties are in full swing at Elmwood Park Zoo from noon to 3 p.m. The biggest treat of all? The bonding time that results from participating in the live entertainment, costume contests, costume parades and trick-or-treat stations. 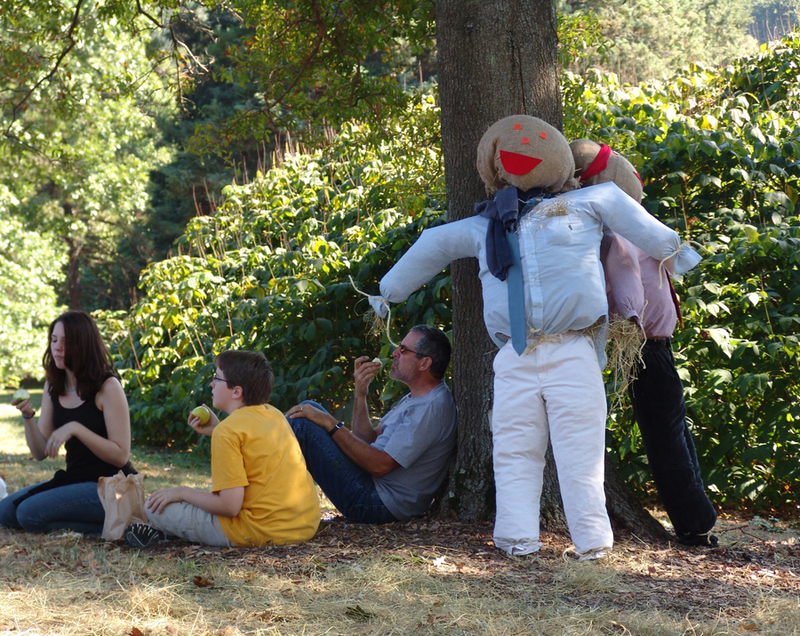 Temperate weather and sunny skies are perfect for a stroll through the scarecrow walk at Morris Arboretum. The theme for this eighth annual event is "Art & Artists," and the festive walkway along Oak Allée displays one masterpiece after another. Hours are 10 a.m. to 4 p.m.
Navigate your way through the massive corn maze at Varner Farms in Collegeville; it&apos;s a five-acre challenge of twists and turns. Weekend hours are Saturday, 9 a.m. to 5 p.m.; Sunday, 11 a.m. to 3 p.m. For an even bigger thrill, try the maze at night, aided only by a flashlight (Friday/Saturday, 6-8 p.m.). Fall hayrides provide the perfect transportation for pumpkin picking at Maple Acres Farm in Plymouth Meeting. 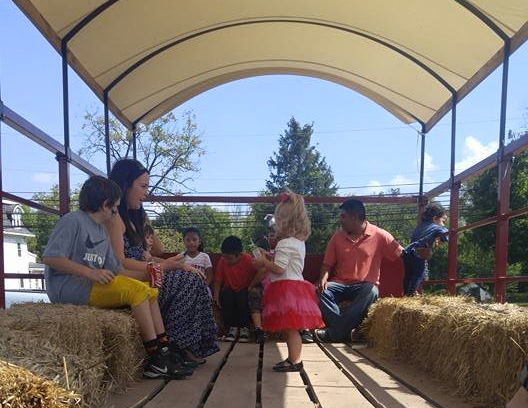 Departure times for the weekend are 11 a.m., 1 p.m. and 3 p.m.
Pumpkin-picking, hay-ride wagons, bonfires and other autumnal awesomeness overtake Northern Star Farm on Saturdays and Sundays from 10 a.m. to 5 p.m. This is a bell-ringer of a festival, especially as visitors shoot apples from an air cannon, trying to hit a dinner-bell target. Lulu&apos;s House of Horrors in Plymouth Meeting invites the brave to a multi-level dose of fear: hayride, house tour, haunted woods and corn maze. Woven throughout all of it are numerous things that do more than just go bump in the night. Hosted by the Lu Lu Shriners, the October 10, 11 and 12 hours are 7-10:30 p.m. (Friday & Saturday); 7- 9:30 p.m. (Sunday). Pottstown&apos;s Temple of Terror creaks open for the first time on October 9-10, with hours that begin at 7 p.m. and end when the line dies down. The fear unfolds against a Civil War-themed backstory of infidelity and revenge. Scream Mountain is a seasonal overlay of Spring Mountain Adventures in Schwenksville. The experience can feature monsters that are a little milder for younger guests or the full-bore gore-tour for those who are brave enough. Hours are 6:30-10 p.m.
For the fifth year in a row, Skippack Village raises a toast to the greatness of grapes with its Winetober Fest, October 10. From 1-6 p.m., locations along Route 73 will overflow with pourings, food samples, live music and art. Because of the nature of the event, tickets are required. Attendees should check in at After 5 Girls, in front of Skippack Pizza. Calling all dogs! Saturday, October 10, at Wilson Farm Park (Wayne) is a fundraising dog walk with plenty of tail-wagging swag. Proceeds benefit Philadelphia Ronald McDonald House, New Leash on Life USA (a program that matches inmates with dogs) and Main Line Deputy Dog (an organization that provides fully certified service dogs). The morning&apos;s program are a pack of demos, contests, giveaways, prizes, food and music. Registration, in the form of a donation, is here. Get a bird&apos;s eye view of some of the icons of Upper Merion Township when the King of Prussia Historical Society presents its Aerial Retrospective on October 10 at 2 p.m. The photograph-heavy content at Christ Church (Old Swedes) demonstrates how the community grew over time, highlighting the commercial, residential and industrial implications. 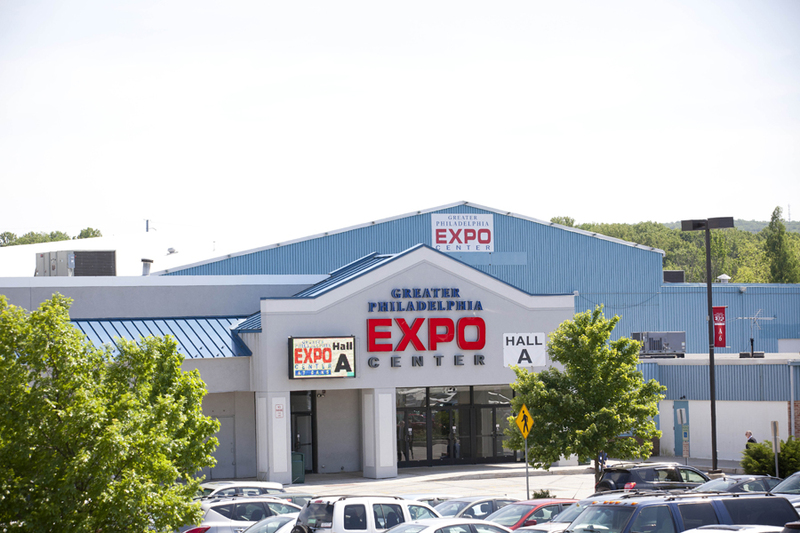 Boden New British - merchants of fine clothing for men, women, teens and children - makes full use of the vast space of the Greater Philadelphia Expo Center for its October 10 warehouse sale. From 10 a.m. to 4 p.m., shoppers can update their wardrobes - and perhaps begin holiday shopping - with steep discounts on fashionable, quality pieces. The Montgomery County Best Kept Secrets Tour kicks off its fall version on October 8 and continues throughout the month. Thirty-six small business owners throughout the country pool their talent, time and resources to create a county-wide itinerary of interesting shopping. Proceeds help the Victim Services Center of Montgomery County. Watching birds this weekend? Before settling down with the Eagles on Sunday, take the family to watch some falcons on Saturday. Taking the skies over Green Lane Park are not the Atlanta version but, rather, the real deal. The Flight of the Falcon program on October 10 at 1 p.m. and 3 p.m. will show these magnificent hunters taking to the skies. Conservationists of all ages can pitch in to improve Norristown Farm Park on October 11. A ranger provides the inside scoop on removing invasive plants from the park, and the public is invited to join. The long-range goal of the effort, which starts at 2 p.m., is to improve conditions for the park&apos;s animal inhabitants. The organizers ask that volunteers bring work gloves and hand tools.